Daisetsu Teitaro Suzuki was a key figure in the introduction of Buddhism to the non-Asian world. Many outside Japan encountered Buddhism for the first time through his writings and teaching, and for nearly a century his work and legacy have contributed to the ongoing religious and cultural interchange between Japan and the rest of the world, particularly the United States and Europe. This second volume of Selected Works of D. T. Suzuki brings together Suzuki’s writings on Pure Land Buddhism. At the center of the Pure Land tradition is the Buddha Amida and his miraculous realm known as paradise or “the land of bliss,” where sentient beings should aspire to be born in their next life and where liberation and enlightenment are assured. Suzuki, by highlighting certain themes in Pure Land Buddhism and deemphasizing others, shifted its focus from a future, otherworldly goal to religious experience in the present, wherein one realizes the nonduality between the Buddha and oneself and between paradise and this world. 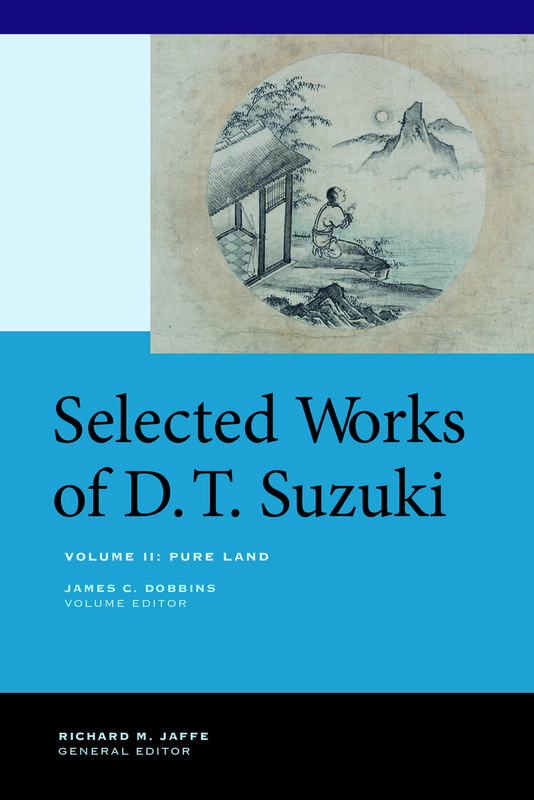 An introduction by James C. Dobbins analyzes Suzuki’s cogent, distinctive, and thought-provoking interpretations, which helped stimulate new understandings of Pure Land Buddhism quite different from traditional doctrine. Daisetsu Teitaro Suzuki (1870–1966) was a Japanese-born scholar and translator who over the course of the twentieth century came to be regarded as one of the leading authorities on Zen and Buddhism generally. He was the author of more than a hundred works on the subject in both Japanese and English and was instrumental in bringing Buddhist teachings to the attention of the Western world. His many books in English include An Introduction to Zen Buddhism, Essays in Zen Buddhism, Zen and Japanese Culture, Mysticism: Christian and Buddhist, and Shin Buddhism. James C. Dobbins is Fairchild Professor of Religion and East Asian Studies at Oberlin College and the author of Letters of the Nun Eshinni: Images of Pure Land Buddhism in Medieval Japan and Jodo Shinshu: Shin Buddhism in Medieval Japan.